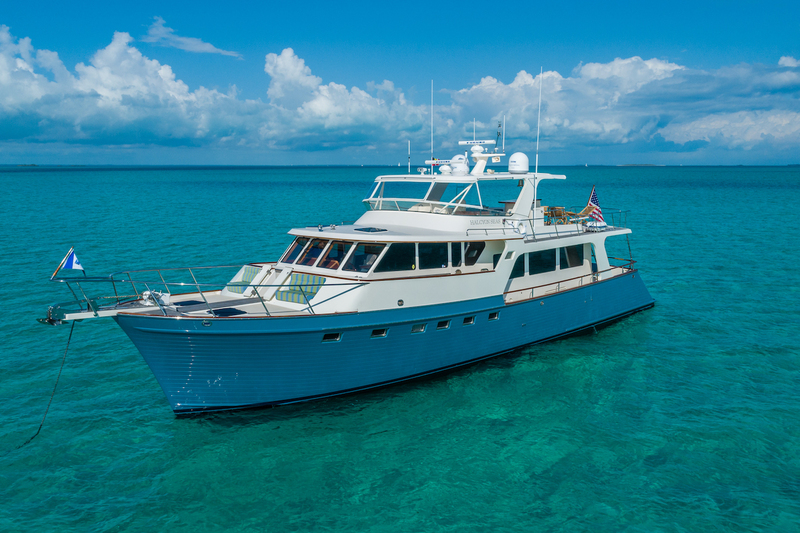 Motor yacht HALCYON SEAS (ex CASAMAR) is a Marlow Explorer, built by Marlow yachts of the USA in 2006, measuring 21.72m (71' 3") in length. 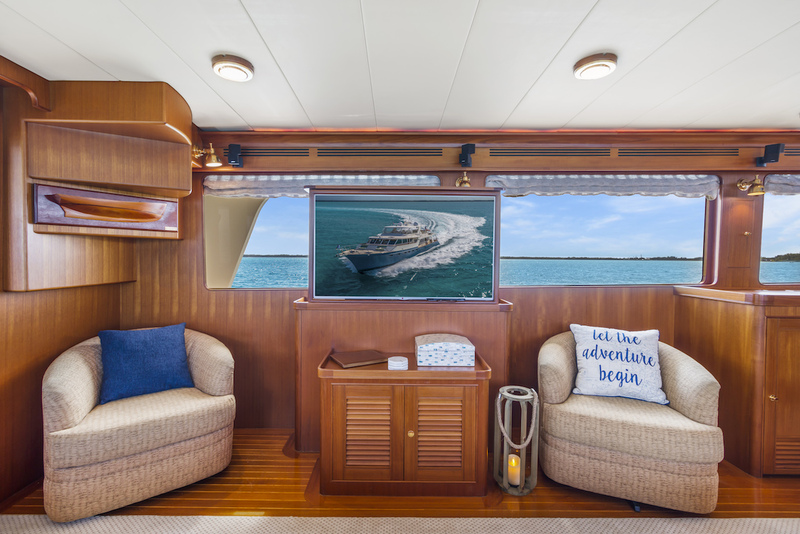 Following her extensive 2019 refit, Halcyon Seas offers beautifully-maintained elegant interiors and ample exterior living with accommodation for up to 6 charter guests in 3 cabins. 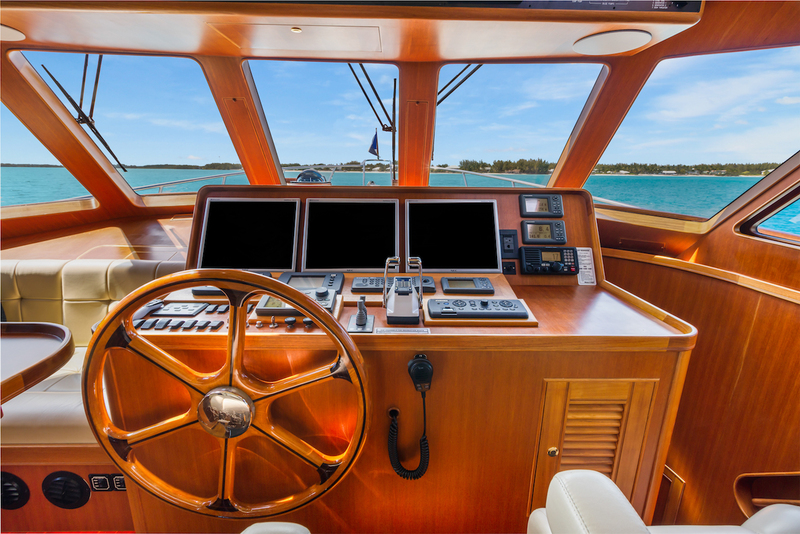 The yacht has one crew member on board. 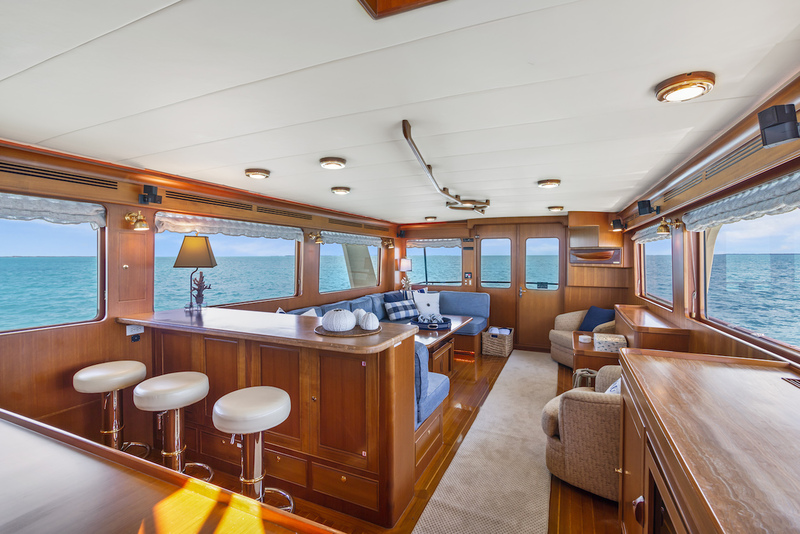 The interior aboard boasts fine teak panels and cabinetry throughout, stylish soft furnishings create a comfortable refined ambience, while state of the art amenities ensure absolute relaxation. 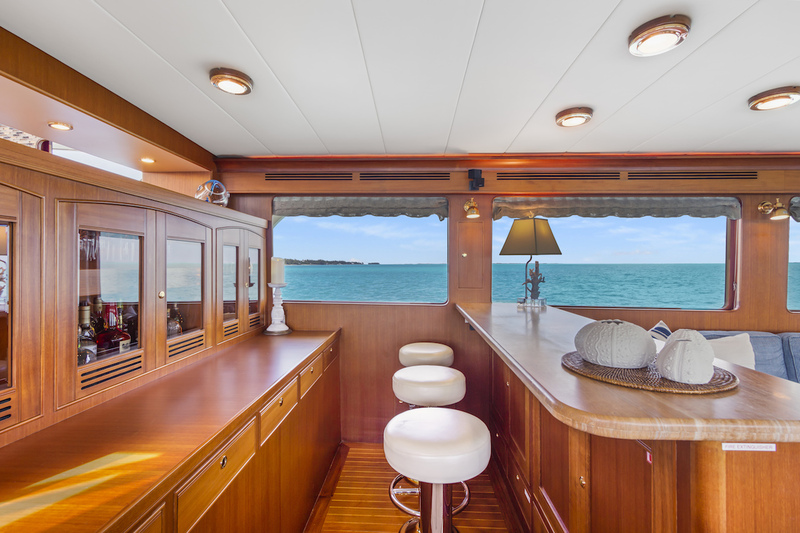 The salon features a large U-shaped sofa, 2 swivel chairs, a coffee table, hideaway entertainment centre and complete wet bar, with fitted stools. Panoramic windows infuse the space with plenty of natural light while providing spectacular views. 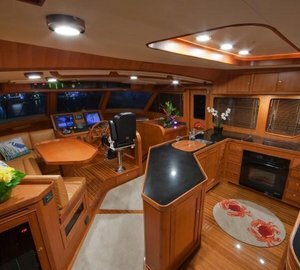 Forward of the salon is a separate formal dining table to port, with the fully equipped galley to starboard and captains helm in front. 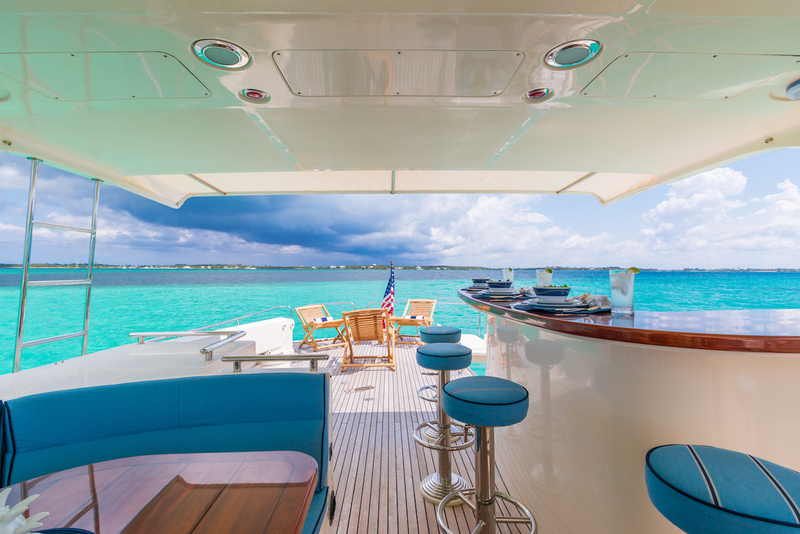 Thanks to the raised position of this deck, views are unrivalled whilst dining. 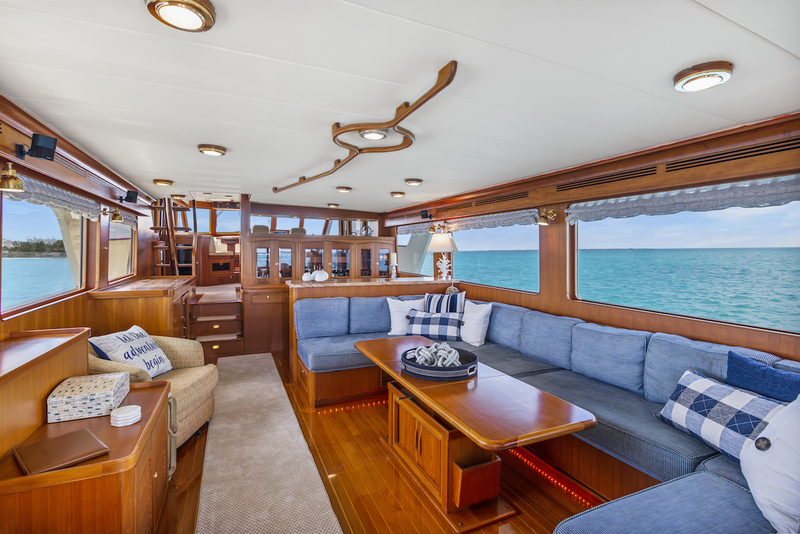 Accommodation on the HALCYON SEAS motor yacht is below decks in 3 cabins, a master stateroom, a VIP cabin and a guest cabin. 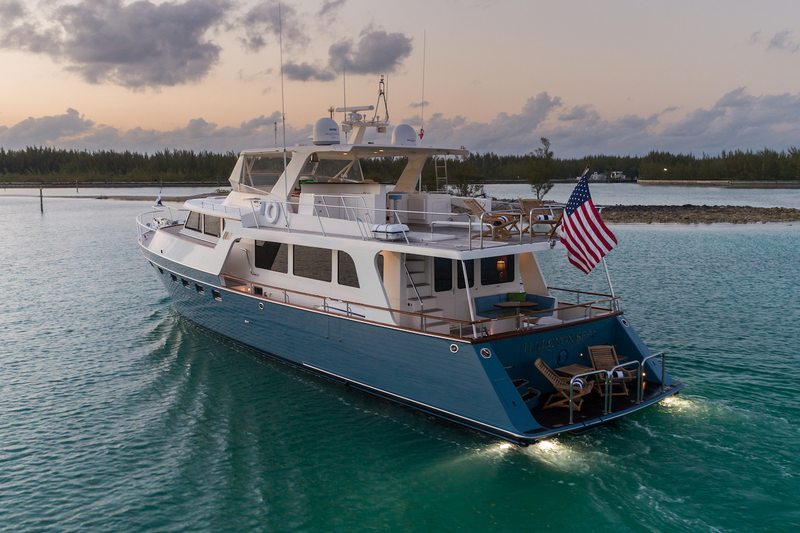 Boasting a lagoon blue hull, the yacht HALCYON SEAS is unique and stunning. 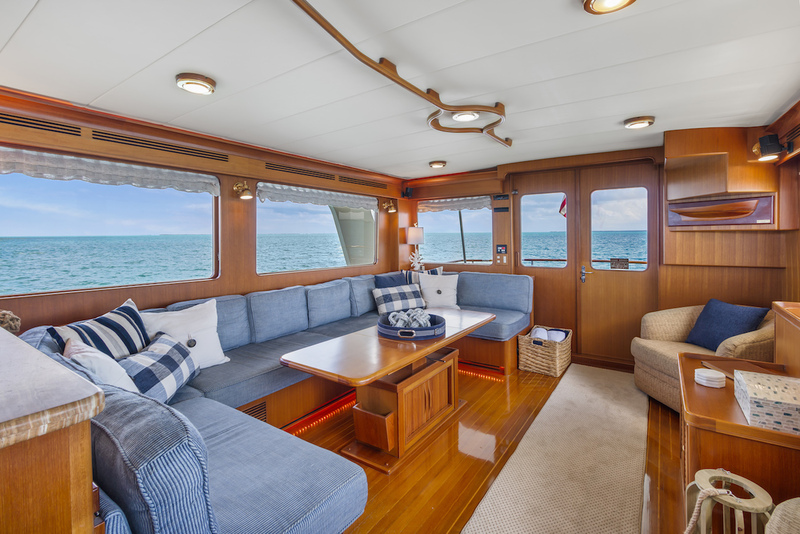 She features fabulous exterior living areas, on 2 well-appointed decks. 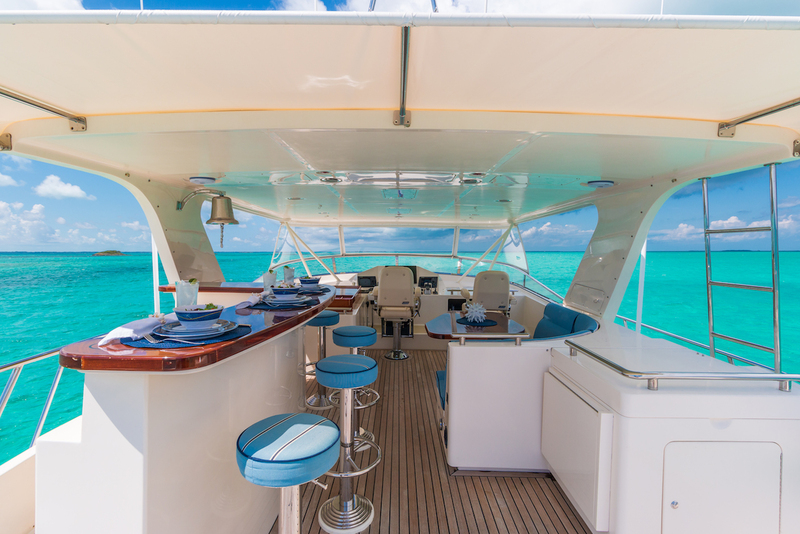 The aft deck boasts a small alfresco dining option and further seating, perfect for evening canapés and cocktails, from the interior wet bar. 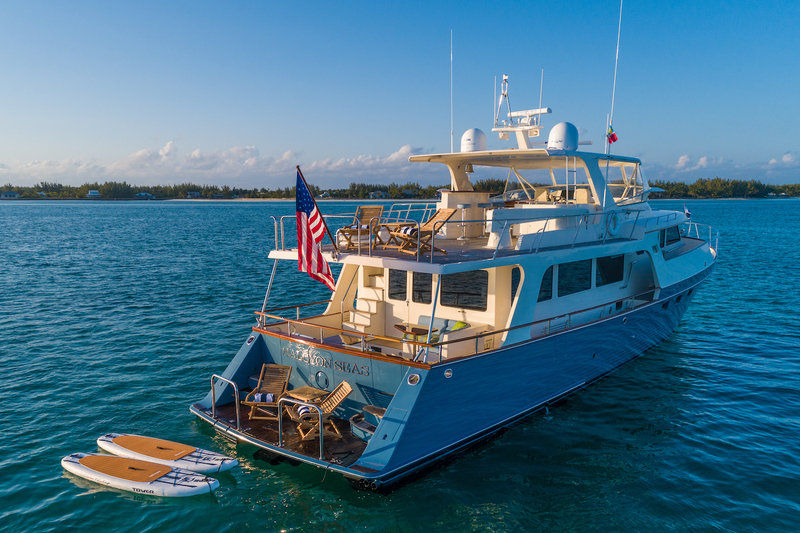 Further aft, the massive swim platform allows effortless water access. 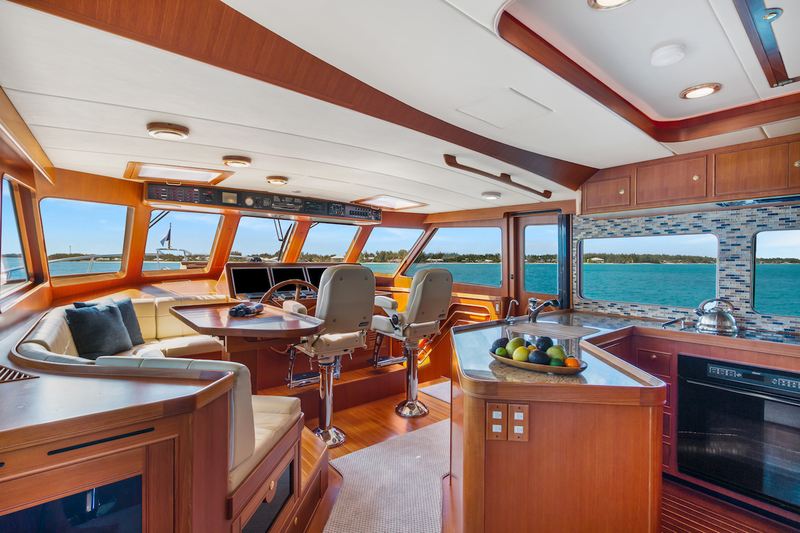 360° wrap around decks lead to the generous foredeck, where additional seating is available. 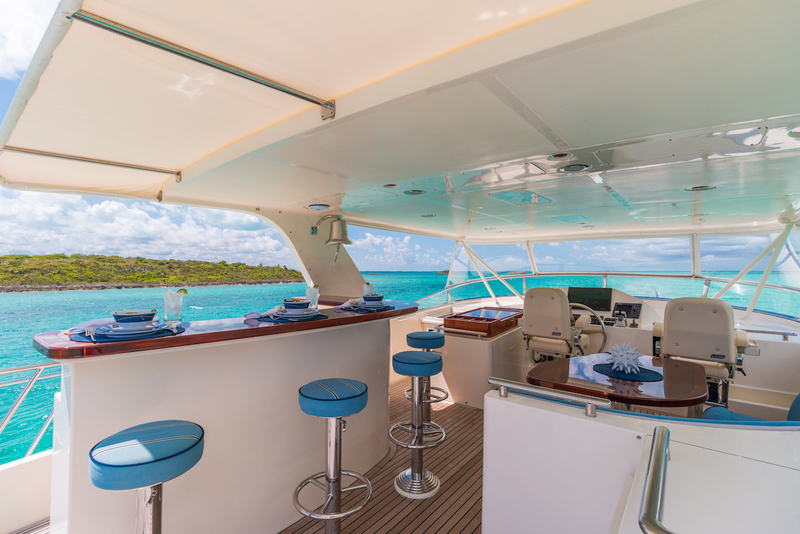 The flybridge deck is perfect for entertaining and offers an alfresco dining option, wet bar with fitted stools, seating and plenty of shade. 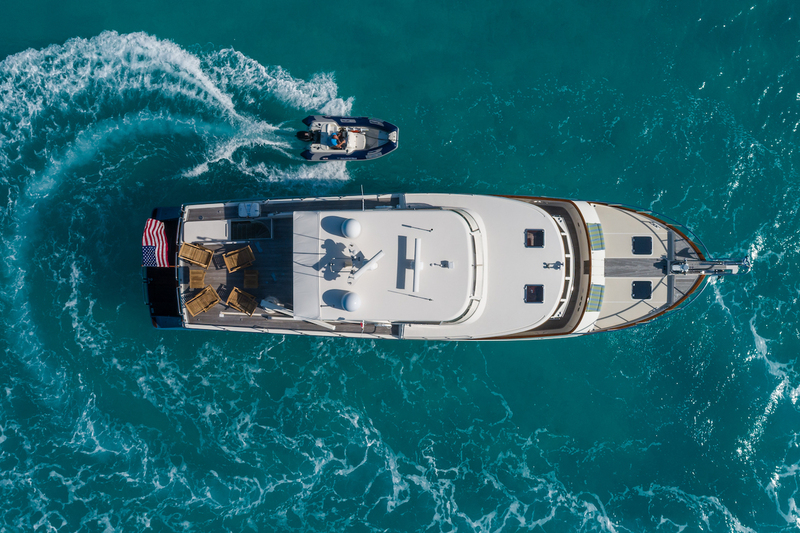 Powered by 1015 HP, Twin, Diesel, C-18, Caterpillar 1900hrs engines, the yacht cruises at 19 knots, with top speeds of 24 knots. 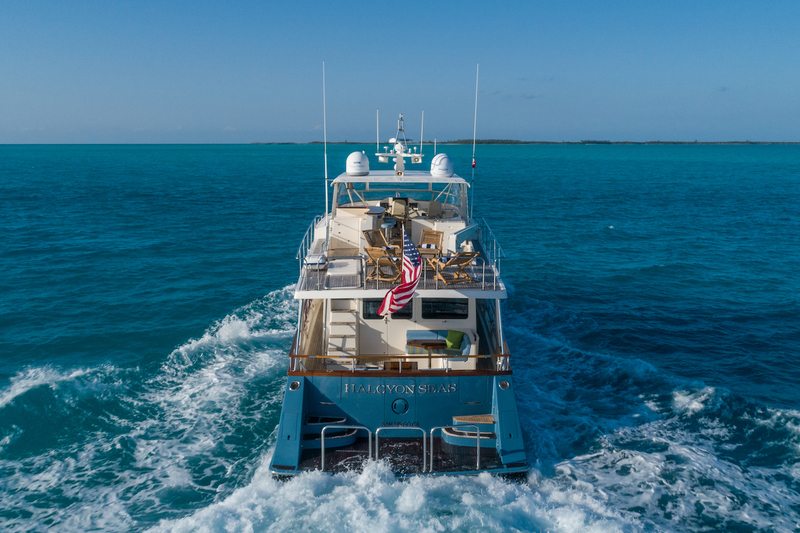 Underway stabilizers ensure a smooth, comfortable experience. 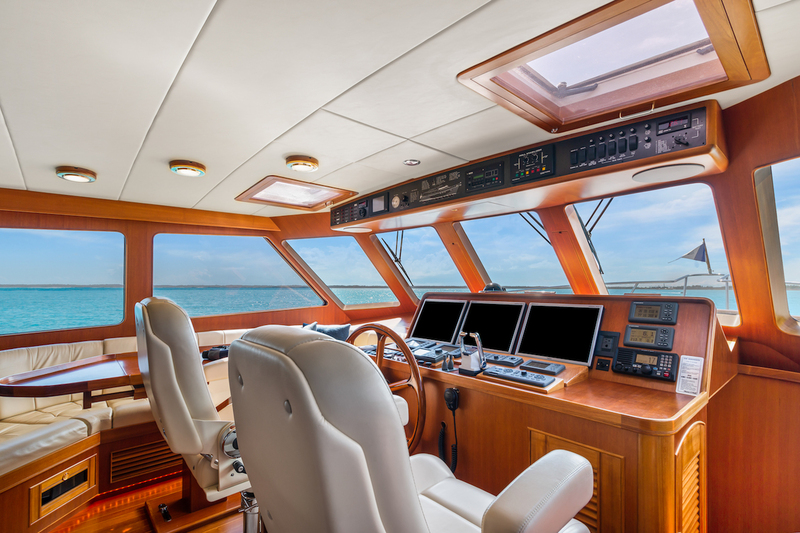 Below decks, the explorer charter yacht yacht HALCYON SEAS offers 3 cabins. 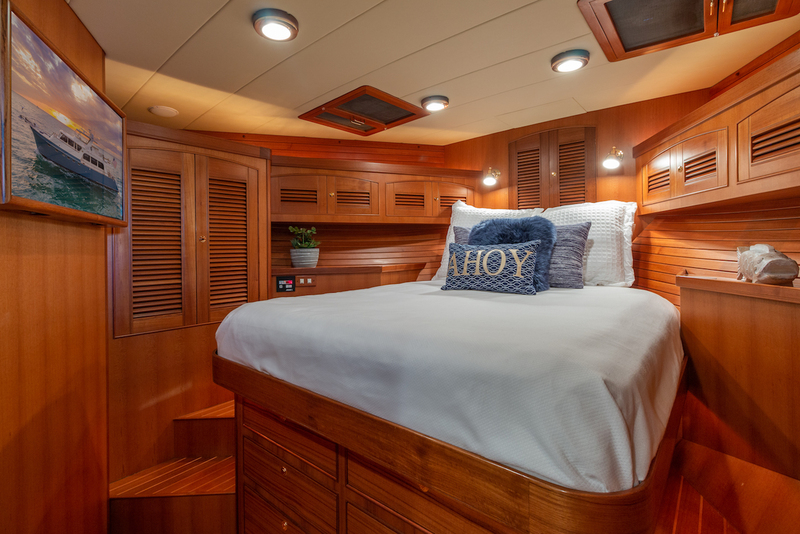 The master stateroom spreads the entire beam of the yacht, with a centre-lined king size bed, ample storage space, full entertainment and his and hers facilities, joined by a central en-suite tub and shower. 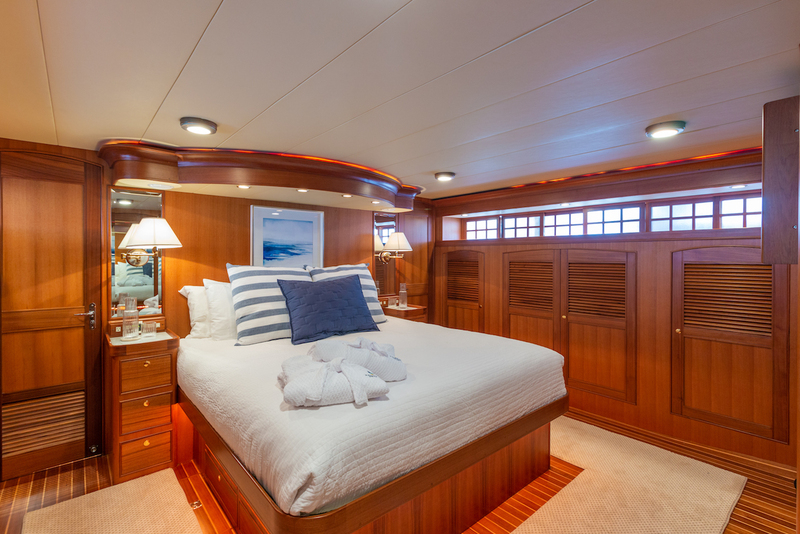 The VIP cabin is forward and full beam of the yacht, with a centre-lined queen size bed. 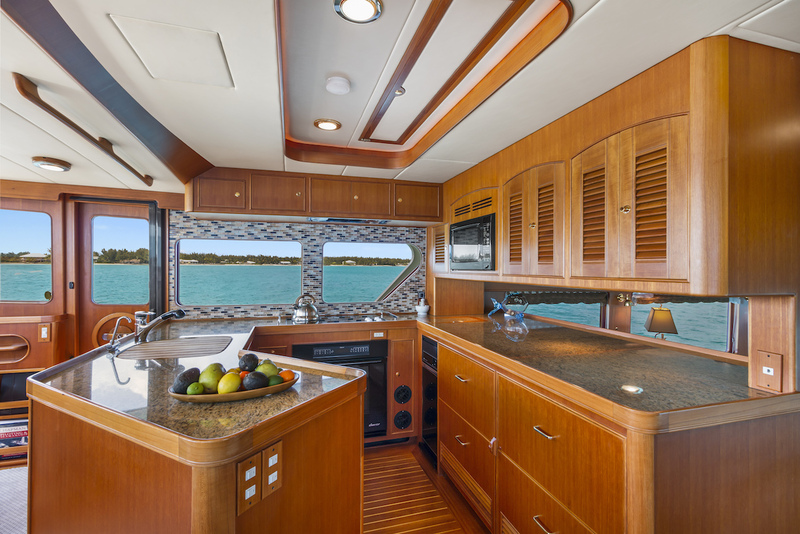 An optional twin cabin offers side by side twin beds. 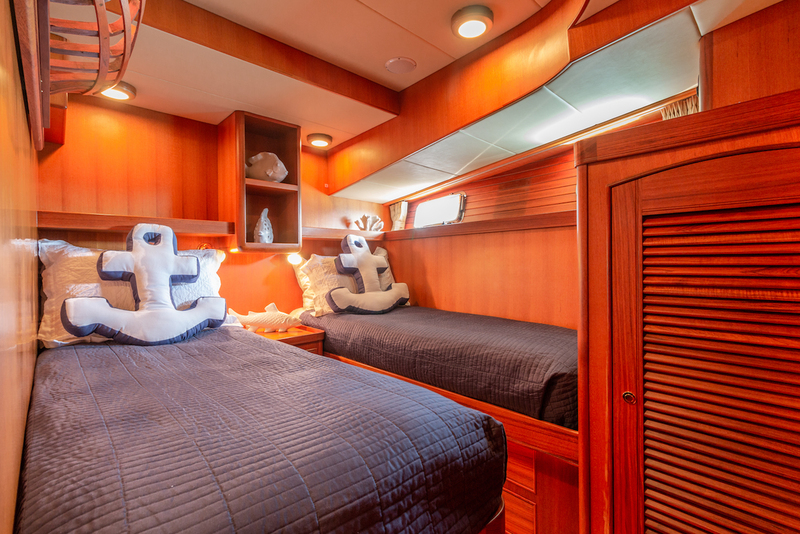 All 3 cabins are light, airy and luxuriously finished, boasting a relaxed soothing atmosphere.